In the last year, we have witnessed impressive growth in the value of the dollar. In the latter half of 2015, the dollar rose higher than 16% against a collection of world currencies. It has continued to increase steadily since early May and is expected to continue to grow. So, what has caused the rise of the dollar? We take a look at some of the factors that have contributed to the recent increase in value, both domestically and abroad, as well as what we can expect for the future. The price of a currency is set minute by minute by forex traders and investors. Factors such as speculation, economic activity, interest rates, and investments determine the value of currency. In the end, it all comes down to supply and demand. Speculation and economic activity play a big part. For example, if markets were concerned about the future of the US economy, then traders and investors would be looking to sell their dollars, which would, in turn, decrease the value of the dollar. So, the value of currency in part reflects how well the economy of that country is doing, and what we expect for the future. Last year, the economic recovery picked up speed at an impressive rate, with the latest readings showing a GDP surge at 5% annual rate from July through September; the fastest pace in over ten years. The US economy looks particularly healthy when compared to many other economies around the world. Furthermore, almost 3 million jobs were added to the payrolls of American employers, which is the largest increase in fifteen years. This has led to an increase in the demand for dollar-based investments, with investors from around the globe looking to cash in on that growth. This, in turn, has led to an increase in the value of the dollar. The dollar is still enjoying a high due to several factors. Since the start of May, the dollar has seen a steady increase in value. For one, the banking sector is looking good, with the Fedstill seeking to raise rates this year. 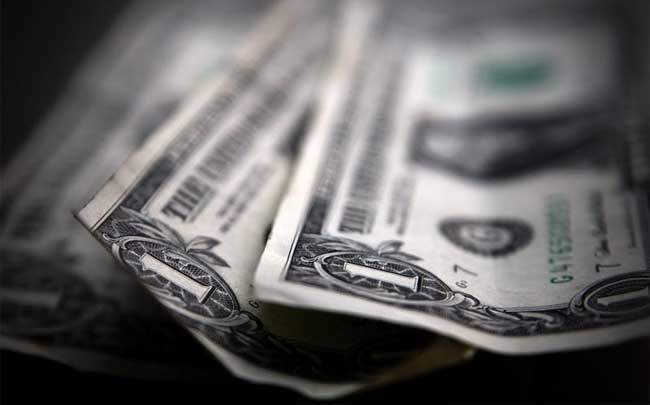 Renewed talks pushed the dollars to its highest level in four months. There were previous concerns over the future of the US economy, following a weak Employment Report for May and the contagious effects of Brexit. However, fears of a slowdown in economic growth have been reduced following the release of recent economic data. People have also started to see Brexit as more of a local risk, rather than a global one. Now that the markets have recovered from the shock of Brexit, a Fed rate hike before the end of the year is looking more and more likely. There’s another way in which Brexit has driven the strength of the dollar; the pound’s continued weakness after the results were announced. It hit a multi-decade low post-Brexit, with lingering worries about trade and the possibility that other nations follow suit. It is not just the U.K. economy that has suffered from the results of the referendum. We have seen Europe’s economy slowing, along with inflation. This news has led many G10 central banks to look at easing monetary policy to stave off widespread recessions, which means we can expect further confidence in the dollar. As the dollar continues to be viewed as a safe place for businesses and investors to park their money, we can expect it to gain strength over the coming year. Let’s not forget that the global economy too has weakened, with emerging markets, including Brazil in particular, suffering from slow growth and high levels of inflation. With the central bank also looking to raise rates in order to fight inflation, growth could be further dampened. All in all, it is not just the good news domestically which has helped to explain part of the increase of the dollar, but also the troubles abroad. With the relative value of the Euro and Yen falling, the dollar has benefited. News from overseas will continue to impact the value of the currency, so it is not just down to the U.S. to keep the value high. Only time will tell what we can truly expect from the dollar in the future, but current forecasts are positive.